If you ever saw a film adaptation of Astrid Lindgren's famous children's stories or a film that is set in the Swedish countryside, you will most likely have a great time in Småland – a region located in the South‐East of Sweden! Here, you can enter the homes and watch stage performances of the cheeky blond‐haired boy Emil from Lönneberga, the strong‐minded Ronia, the Robber's Daughter, the sad, but heartwarming story of the Brothers Lionheart, the lively children of the Noisy Village (Bullerby), high‐flying Karlson on the roof or the upper class country girl Madicken (also known as Madita). There is also the actual film set for Lotta on Troublemaker street (filmed in 1992 and 1993). You'll pass by at the very beginning just after entering the park and can even go inside the typical Swedish small‐town houses of Lotta and her neighbour, aunt Berg. Practical information: The park is open during each year's summer season (mid‐June to late August) as well as during weekends in September and the Swedish autumn half term break (29 October – 6 November 2016). Prices range from FREE entry for 0–2 years to 400 SEK for an adult during the peak summer time season. For more information on the surrounding areas, check out Visit Småland. If Astrid Lindgren's World has made you curious about where Astrid's inspirations for her countless novels came from, there is no better place to find out than her very own childhood home, the former farm of Näs! 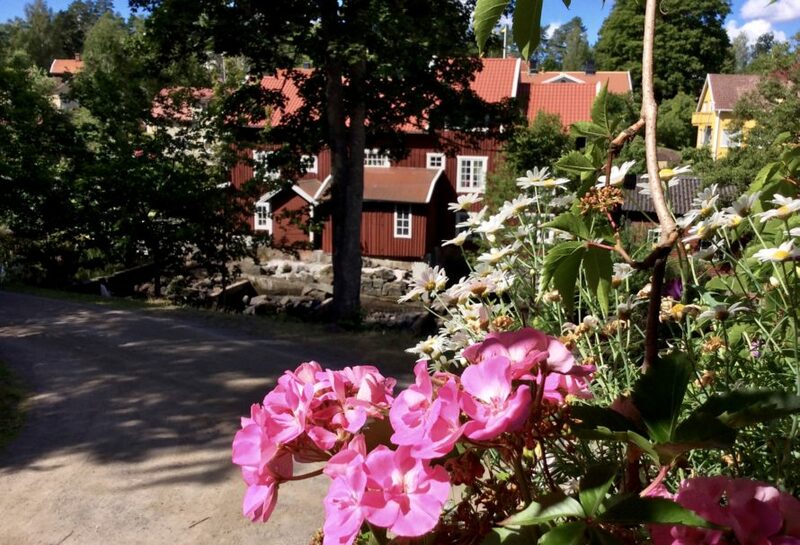 Conveniently located just a short walk from Astrid Lindgren's World, you can take part in a guided tour or pick up an audio guide and explore Astrid's life on your own in the adjacent museum. I especially enjoyed the guided tour, which is the only way to see the inside of Astrid Lindgren's former home. Our guide told us so many cool stories about how Astrid's family lived here and where Astrid got the inspiration for her later books from. For example, the many tramps that came by to stay with her family were her inspiration for Rasmus and the Tramp. Practical information: Näs is open almost all year round (with the exception from mid‐December to mid‐March) and entry is 110 to 170 SEK depending on your age group and visiting times. Guided tours are 95 SEK for adults and 50 SEK for children from 0 to 15 years. A minimum age of 8 years as well as booking the tour in advance in recommended. For more information, check out Visit Vimmerby. 3. Visit a glass factory in the "Kingdom of Crystal"
Aside from Astrid Lindgren, Småland is known as Sweden's hub for glass making, so a trip to the "Kingdom of Crystal" simply had to be included in our itinerary. We visited two glass factories which also housed shops and exhibitions: One was Målerås Glassworkss in the town of the same name and the other one the Glass Factory in Boda. At Målerås, some of us had a go at trying glassblowing themselves, while we all enjoyed a traditional Swedish "fika" break (coffee and pastry) as well as an exhibition of the glass artworks by the local glass artist Mats Jonasson. If you have some spare cash, you can even buy a piece of Jonasson's art. The Glass Factory in Boda then treated us to watching the glass blowers and artists at work in the hot shop, a Swedish lunch as well as a guided tour through their extensive exhibition and glass museum. We were even allowed a peak into the Glass Factory's additional storage room downstairs in the basement! Practical Information: Målerås is open all year round and entrance is FREE. At the Glass Factory in Boda, entry is 60 SEK and FREE for children under the age of 15. There are a variety of guided tours, work shops and activities to choose from. Our next stop was the seaside town of Kalmar. Here, we took part in a guided tour, which provided us Travel Bloggers with plenty of opportunities for great shots. There were the stunning baroque‐style cathedral of Kalmar, the typical Scandinavian wooden houses, the cute, hidden alleys and of course – Kalmar Castle! Practical information: The castle is open for visitors all year round, but not every day, so be sure to pre‐check their website if you're planning to visit. Admission Prices for adults range from 100 to 120 SEK according to the season. Find more information to plan your trip at Visit Kalmar. On our way to Västervik, we stopped by in the small village of Mörtfors for some "fika". As we all learnt by now, the Swedes take their coffee breaks very seriously! There should be at least one per day, but most often there is one at 9 am in the morning and another one at around 5 pm in the afternoon. So this was our morning one and – oh, my gosh – the traditional Swedish parties and cakes were delicious! We had to try a bit of everything of course. Practical information: The town of Mörtfors is best to be reached by car (or bus in our case). For the last stop of our tour, we did what almost every Scandinavian does in the summer: We made a trip to the nearby archipelago! Just like Stockholm and Gothenburg, Småland has many little islands scattered all around its coastline. The island of Öland just outside of Kalmar is the biggest one. Even the Swedish Royal Family comes here to relax in the summer. Our archipelago adventure took us to the town of Västervik, from where we took a high speed boat to get to the island of Idö. We were then shown around the island by Lasse, who is one of only 5 (!) permanent local residents on the island. If you like to feel like you're on the holiday island of Saltkrokan (another one of Astrid Lindgren's famous stories that has been adopted into film), Västervik's archipelago is the perfect place to be! 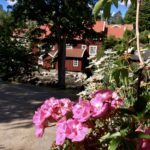 Practical information: The best way to plan your trip to Västervik and the surrounding islands is to check out the website of the local tourist office. We took the train from Stockholm, which took a little less than 3 hours with one change in Linköping. We stayed at the Stadshotellet Vimmerby as well as the Stadshotellet in Kalmar, which were both right in the centre of town. If you're a family, you could also opt to stay at the chalet village and campsite in Astrid Lindgren's World . Like most of Scandinavia, accommodation tends to be quite expensive, so AirBnB may be a good alternative, which will also let you experience the local life in Småland first‐hand. Småland is also home to IKEA and its founder Ingvar Kamprad. You can learn all about the worldwide success story of the furniture giant at the brand new IKEA museum, located in Kamprad's hometown Älmhult. Most Swedes that emigrated to America in the 19th and 20th century came from Småland because the ground here had always been very stoney and was therefore difficult to farm. Trace their footsteps from Sweden into the brave, new world at the Emigration Museum in Växjö. The film locations of Emil from Lönneberga (1971) and The children of the Noisy Village / Bullerby (1986) can be found and visited just outside of Vimmerby. … our hosts Visit Sweden, Visit Småland, Visit Vimmerby, Visit Västervik and Visit Kalmar as well as my fellow Travel Bloggers who made this trip such a fun experience! For a different angle on our common experience, check out their blog posts about our Småland trip, too. Here I am with (from left to right): Mirje from anywhereism.net, Sandy from globalwanderings.ca, Patti from luggageandlipstick.com, Madison from girlinlovewiththeworld.com, Marie from bigtravelnut.com, Monica from monica-suma.com, Melissa from uncloggedblog.com and Leticia from trucosviajeros.com. Now it's your turn: What are your best tips for a quintessentially Swedish holiday or in fact a holiday in Småland? I'd love to hear from you, so feel free to leave a comment below! Disclosure: As part of my participation at the TBEX Europe Travel Blogger Conference in Stockholm, this fam trip was funded by Visit Sweden, Visit Småland and the SJ train company. The views expressed in this blog post, however, are entirely my own and therefore personal and unbiased.